here is the update with the all the tyres weathered with the pigments and drybrushed . 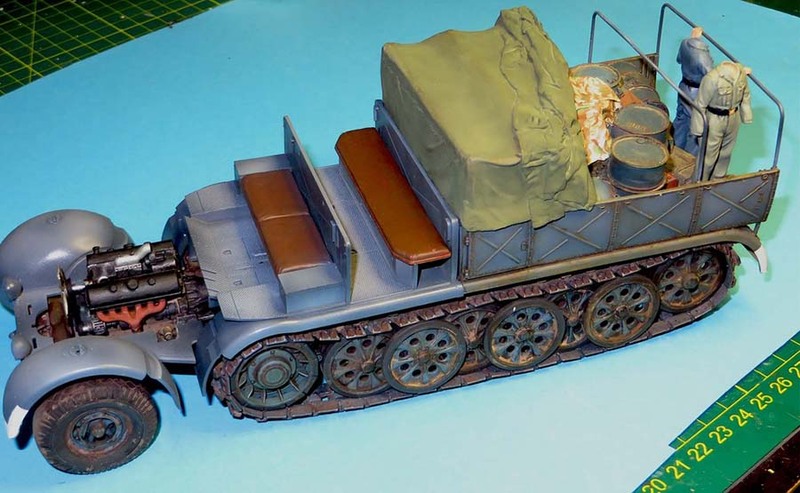 Nice update and lovely weathering on the wheels,etc. The rear driver came out well. Any chance of still tilting his head forward just a bit? 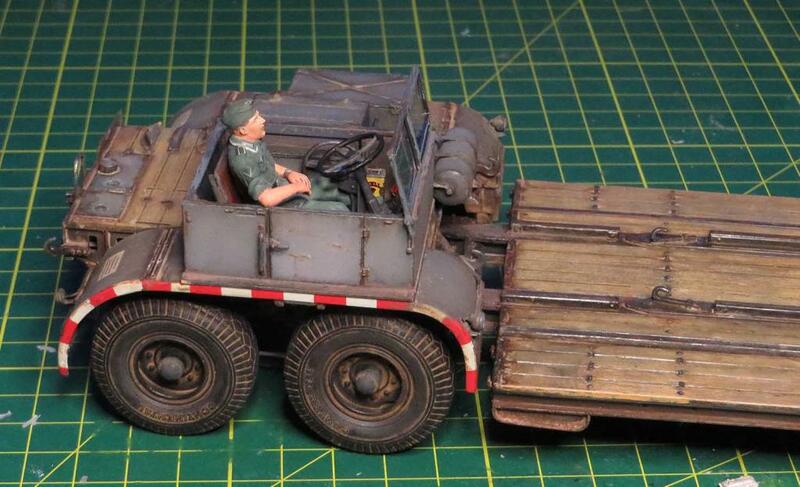 Small little thing but after you painted the cab and the fig so well I think it would set it off more? 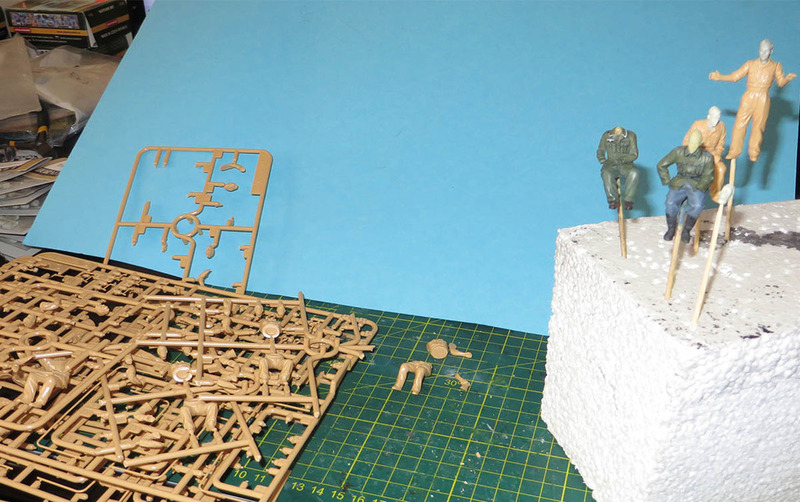 No worries, yes, there is blue tac holding his head at present and we need to tilt the head to be glued in place . Been a bit quiet of late as the head has been down with some detail painting . 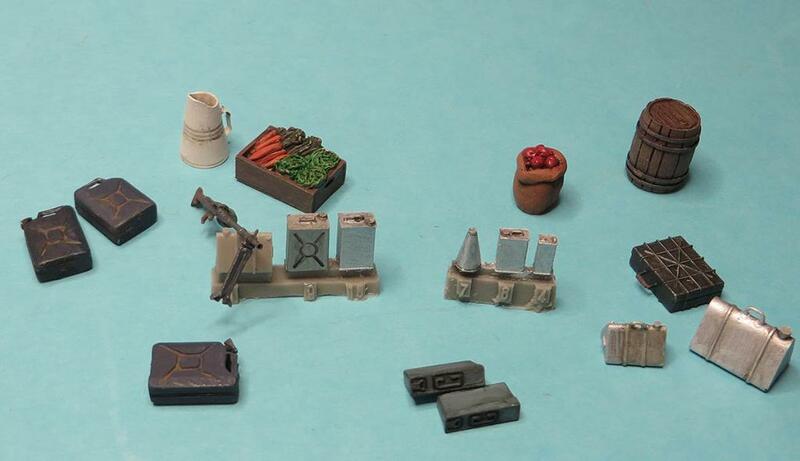 The accessories are to break up the famo cargo load and make it a little more interesting when looking in under the famo cargo tilt .Still have to place the decals on the silver tins and some more washing of the products before gluing into position. No hurry the tray will be painted and detailed before the load is in place . Soooo in moving forward I'm going to commence priming and painting dark grey , flat clear and weather the famo underside before the upper superstructure is glued on .I'm hoping it will help with ease of painting and detailing. Ok here is the next instalment for your perusal and comments. Just finished weathering the kit plastic track and found it may not be up to the weight issues when glued on the timber board with resin load ,figures and resin tilts . 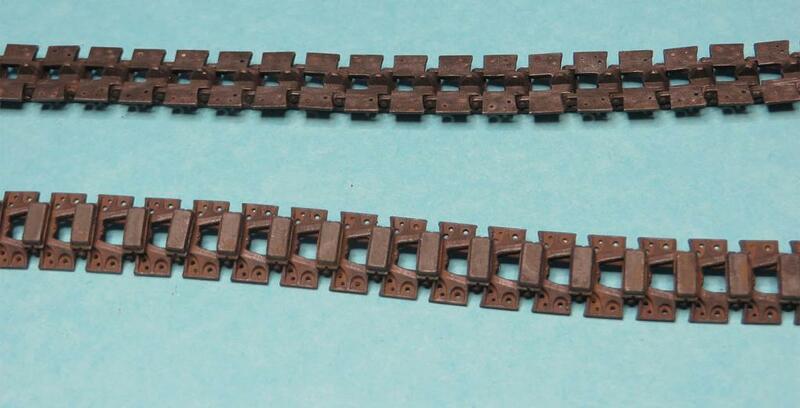 I commenced painting and weathering the track and in the back of my mind I did not want to see links come apart or snap when glued on the timber board. It is an added expense with getting the Famo Fruil and I think that is what we do in the hobby but for piece of mind it will be Fruil all the way baby. 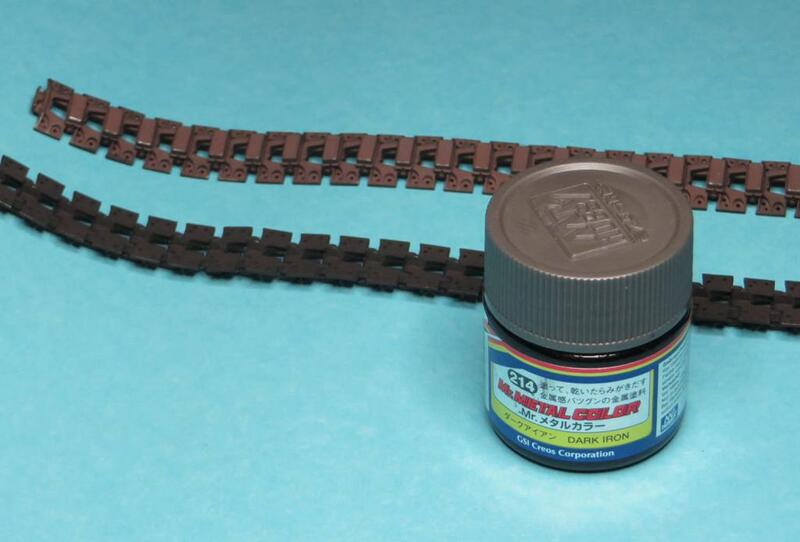 Fruil track for 1 side of the Famo is done,surprised to see how much detail on the white metal to the plastic. There was not much info on the instructions on the track on how the links are meant to go together. Drill out each link , then insert the wire into the link and then glue the pad on .Ensure the pad is glued to the link to ensure it does not come apart. I finally got the oil drums in the drivers compartment to spice the cab up from the sparse interior . This will be the final look .Now the tilt gets glued on and we move to the outside of the trailer cab and glue everything on . 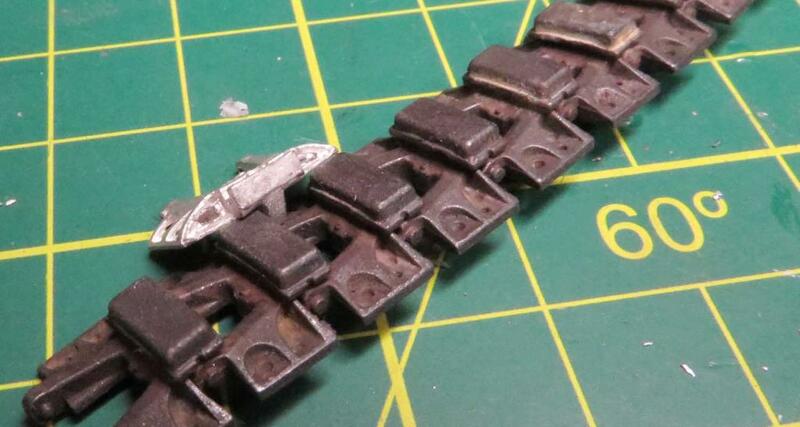 It has been 4 something weeks since last posting and during this time the Famo fruil track has not contained the detail I was hoping , in specific is the bolt head detail in between the track link.Like the plastic one has . 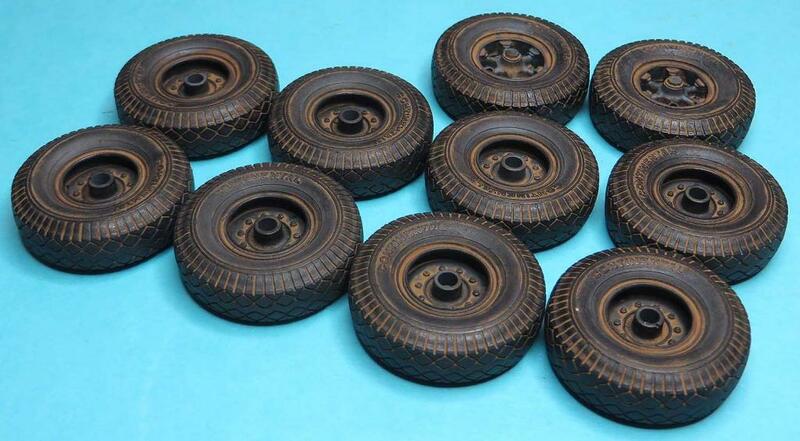 Have gone back using the plastic links and there will be more to follow with the fruil track. 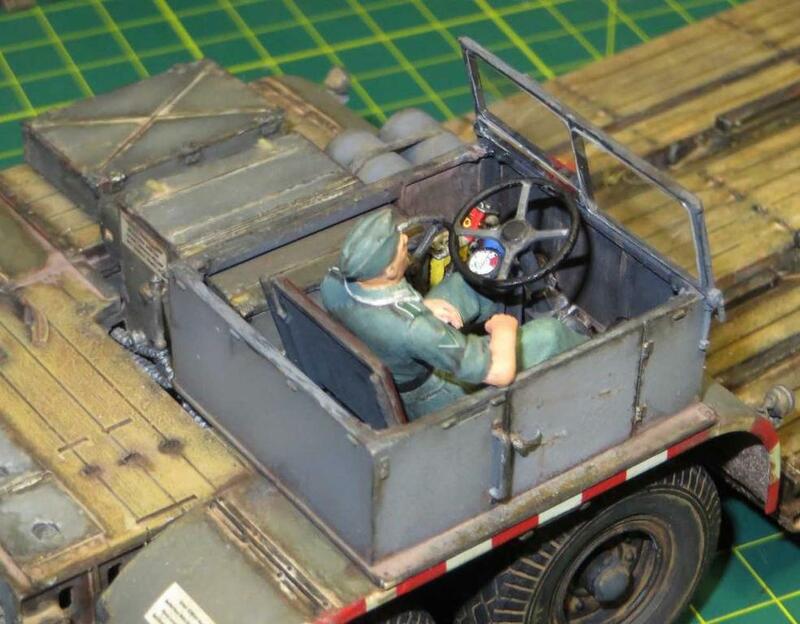 In the interim the canvas was glued over the drivers cab with a lot of detailing in washes and weathering of the trailer wheels and the inside of the front tractor unit of the trailer. 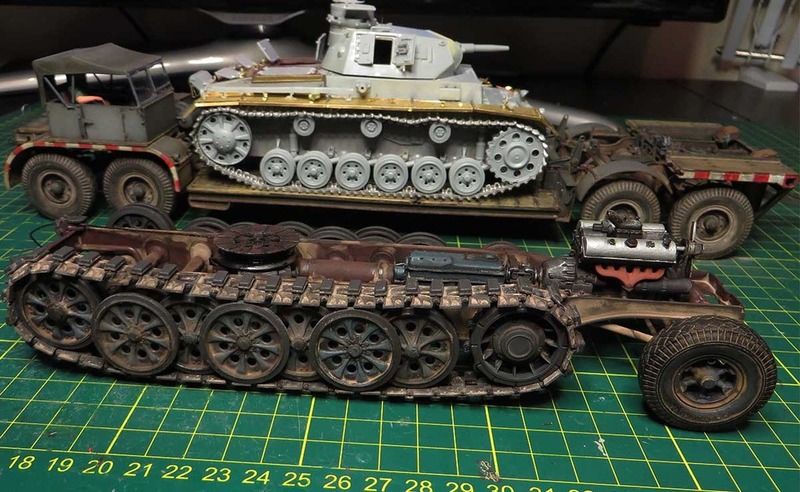 The famo chassis finally recieved a coat of paint and still working on the washes and weathering of the lower chassis of the famo . Still a lot more weathering to do. Your build looks great so far!. You sure put quite an investment of after market parts into your build. I am always a sucker for the photo etch too! Furthermore: Your paint work is Brilliant, a great inspiration. Nice update Michael! Glad to see this is moving forward! Great job Michael. I am currently building a FAMO myself. Your build has been a GREAT resource of ideas and motivation. I Appreciate your comments . Michael, just found this thread and went through it from beginning to end. Amazing work! I'm glad you like it . 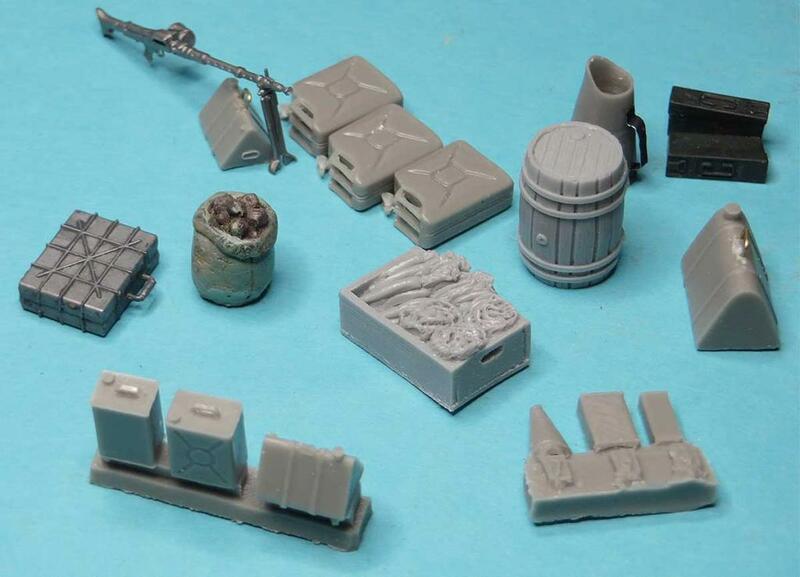 stunning.... that's a lot of plastic, resin and p/e. I love the damaged Pz III too. 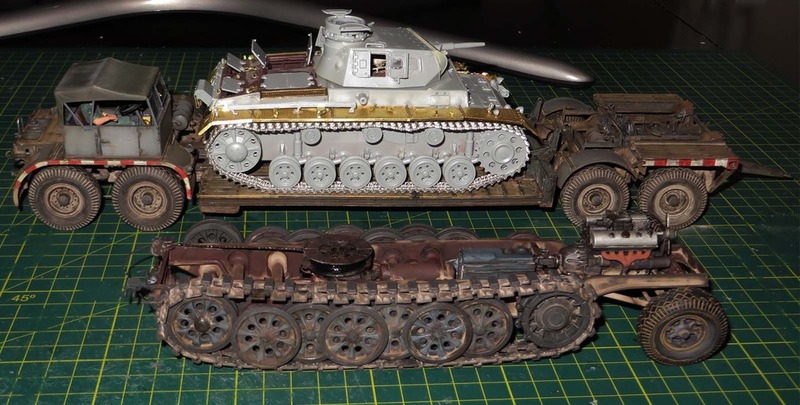 I'm in 2 minds whether the track on the panzer 3 will be on whilst being shipped back for repairs.There will be work to damage the hull to force it going to the rear. Back with the next installment. I persisted with the Famo fruil. Happy with the appearance and they are now glued in place . Then realised how big the famo is with the superstructure on . So many figures to do so it will be awhile to the next post . Jealousy rears its ugly head, in response to your paint purchase. Seriously, excellent work. I'm glad to see you back at it. Thanks Guys for the kind words . I should not have posted the Vellajo box photo's because it may have come across the wrong way .It's the first time for me predominately using the Vellajo acrylic paints, mainly been a Humbrol enamel figure painter but the acrylics are by far the better way to go for figure painting . Hi Michael, I've been following your WIP ... nice work! I think you'll be very happy with your investment. 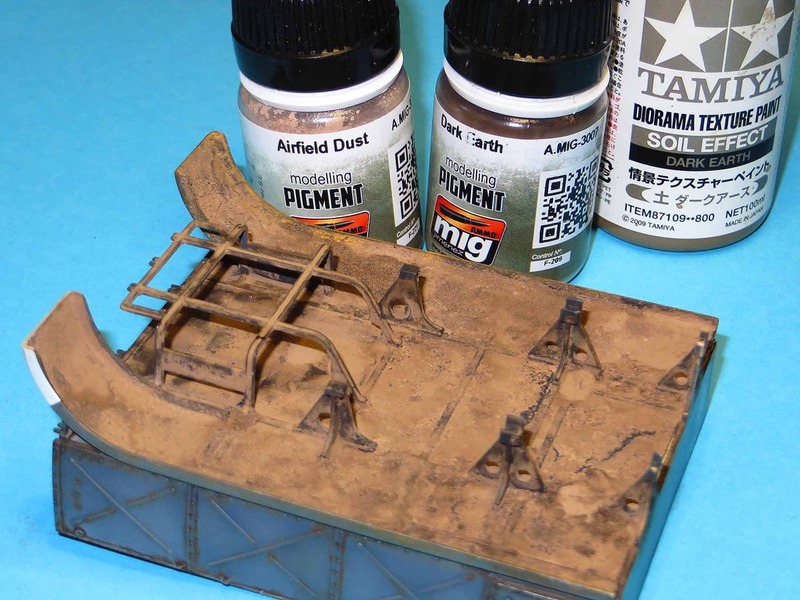 You also might want to consider adding Vallejo Airbrush Thinner (71.161) to the arsenal. In addition, I hear that Vallejo Glaze Medium (70.596) is a good way to go for blending Vallejo Acrylics ... the verdict is still out, but I'll be experimenting with that method soon. 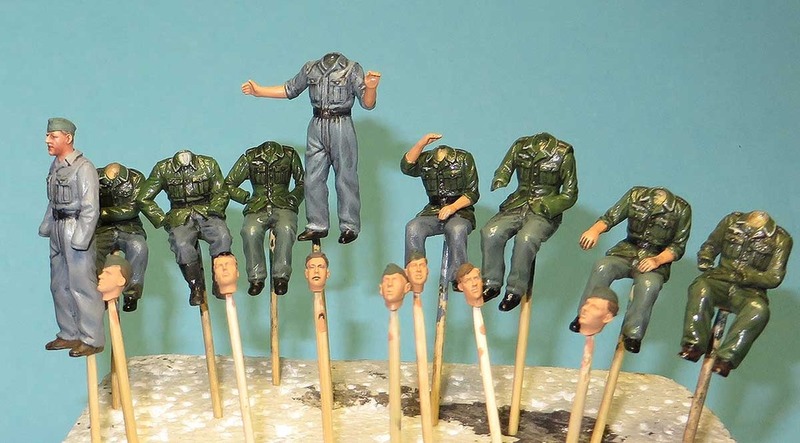 PS: There's only one thing better than figure painting ... lots of figure painting! LOL! ... and feeling your pain! A little further progress has been made on the crew. There was a little seem cleaning with a No 11 exacto blade . 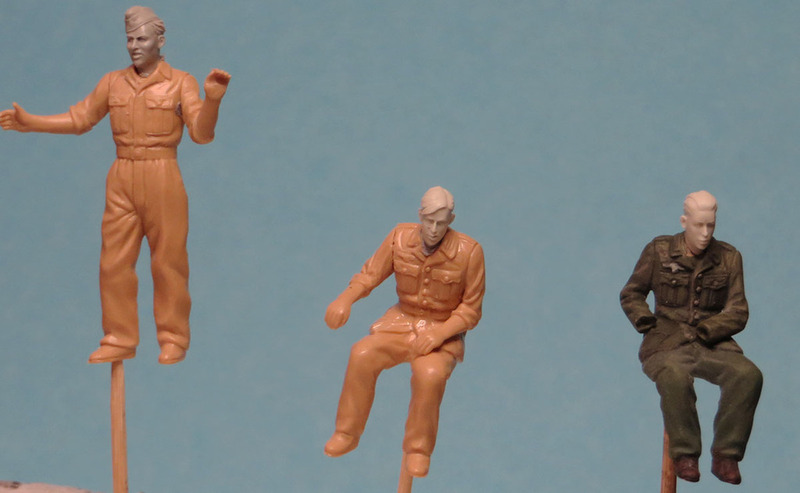 Cut away the hands on some of the crew and are now close to being primed and painted. 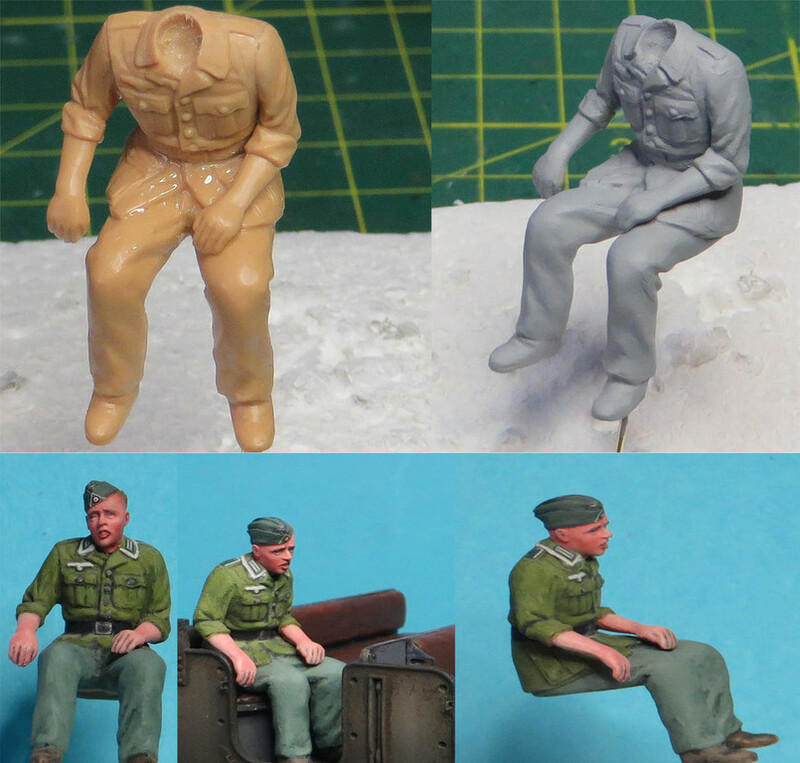 The heads have been test fitted on each figure . All the heads will be drilled out and then a a toothpick will be inserted so I can work on the head separately . Humbrol Flesh will be airbrushed as the base coat on the heads, arms and hands. Vellajo acrylics for the uniforms . very cool! that is excellent and as a previous post said "exemplary" work; can't wait to see the finished project! Have been following your progress. Impressive work on the Famo and trailer. Looking forward to seeing how the figures turn out. 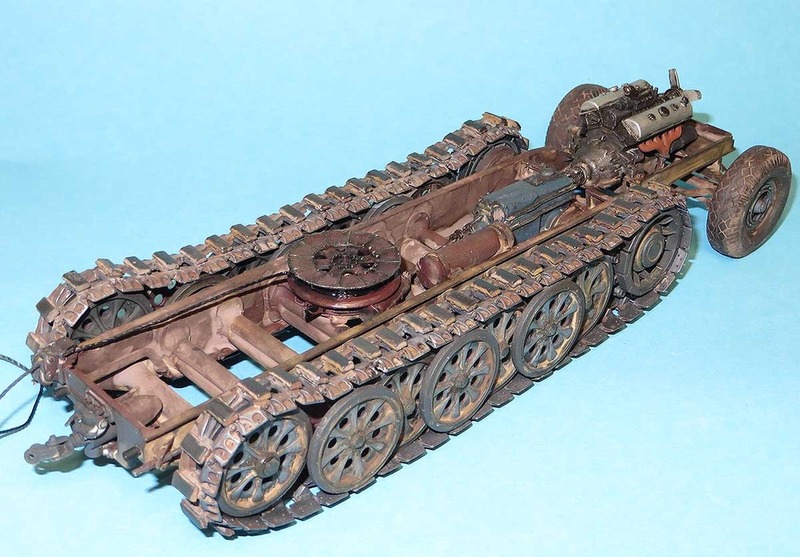 Have a half track vehicle myself that I was planning to build soon. In simple terms your work is... Inspirational!